Delegate: Mr. Ghanashyam Ranjitkar , Natural Resources Canada . 2018 was an exciting year for Ocean Energy development in Canada and a highlight was the hosting of the G7 Environment and Energy Ministers meeting in Nova Scotia to discuss the Blue Economy. This meeting gave Canada a chance to feature the efforts being made across Canada in Ocean Renewable Energy. Marine Renewables Canada (MRC), the Fundy Research Centre for Energy (FORCE) and most of the tidal power developers building projects in Canada had the opportunity to address the ministers and participate in discussions. In Canada, provincial governments have exclusive jurisdiction over the development and management of sites and facilities for the generation of electrical power within the territory of their respective provinces. Nationally, through the departments of Natural Resources (NRCan), Fisheries and Oceans (DFO) and Environment (EC), Canada supports and provides funding for projects as well as regulates the environmental impact. In 2018 the federal government proposed Bill C-69, which will expand federal authority in offshore projects, this is currently in review. The provinces build legislation, assess resources, collect royalties and assign incentives. In 2018 there were significant milestones achieved and also some changes to the way Ocean Energy will be pursued in Canada. In tidal power, Cape Sharp Tidal successfully deployed in the Minas Passage Nova Scotia FORCE site for the third time and although the company was dissolved very soon after, the turbine was successfully connected and produced tidal power for the second time on the Nova Scotia grid. Following this, indications are that in the Bay of Fundy, floating systems could be the tidal power platforms of choice for the foreseeable future. 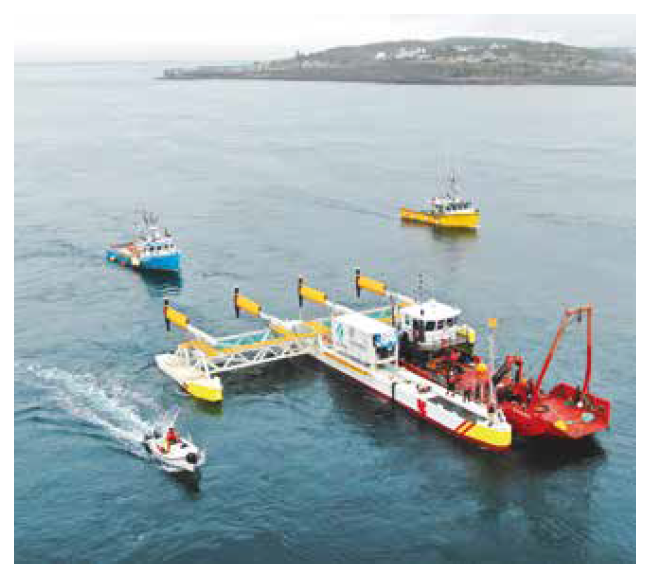 Black Rock Tidal Power, renamed as Sustainable Marine Energy Canada (SMEC) as of January 2019, successfully deployed the floating PLAT-I system from Sustainable Marine Energy (UK) in Grand Passage, Bay of Fundy, NS. This is a lower energy site than Minas Passage in the Bay of Fundy and the platform was deployed without turbines so that SMEC can complete a series of environmental monitoring and research baseline tasks before generating power. Halagonia Tidal Energy Ltd. (HTEL), a Canadian subsidiary of DP Energy is also developing a floating system and Big Moon Power has a floating system. The Cape Sharp Tidal berth at FORCE was sold at the end of 2018 and the new technology developer and project developer will be announced in early 2019. In 2018 the Canadian and provincial governments have invested in excess of $34M directly in ocean energy projects and in excess of $700M in external programs for which ocean energy projects are eligible. It is anticipated that there will be investments of $20M plus directly in ocean energy projects in 2019. Canada saw extensive work completed in environmental monitoring and resource assessment in 2018. This work was performed primarily in NS and BC. In NS, FORCE and some of the developers completed a large number of projects. In BC, the West Coast Wave Initiative (WCWI) of the University of Victoria (UVic) deployed 5 wave monitoring buoys and one Ocean Sentinel (in collaboration with Danish company Orsted). Marine Renewables Canada, with partners at the Government of Canada have published a ‘State of the Sector Report’ highlighting the opportunities, challenges and path forward to capturing opportunities in the ocean energy in Canada and globally. The national strategy for ocean energy has built upon the Canadian Marine Renewable Energy Technology Roadmap which was launched in 2011. Provincially, the NS government developed the Marine Renewable Energy Strategy in 2012 and the BC government has an ocean energy land use policy, a marine energy atlas and is supporting the development of case studies for wave energy in BC communities. In February 2018, under Bill C-69, the federal government proposed the Canadian Energy Regulator Act, which will provide the new Canadian Energy Regulator (currently the National Energy Board) with the authority to regulate the construction, operation and decommissioning of offshore renewable projects (tidal, wave and offshore wind) and their associated power lines in federal offshore areas. The federal government is now working towards the development of offshore renewable energy safety regulations under the proposed Canadian Energy Regulator Act. Under Bill C-69, the federal government also proposed the Impact Assessment Act (replacing the current Canadian Environmental Assessment Act 2012), which will establish the Impact Assessment Agency of Canada (currently the Canadian Environmental Assessment Agency) to lead all federal impact assessment reviews of major projects, working with other regulatory authorities, such as the new Canadian Energy Regulator, and in cooperation with provinces and territories and Indigenous jurisdictions. Bill C-69 is undergoing Parliamentary review and is expected to become law in spring 2019. In NS, the Marine Renewable Energy Act was acclaimed into legislation in 2018. This means that identified Marine Renewable Energy Areas (MREAs) are designated in the legislation and can be assessed and added to the legislation in the future. Going forward, there will be competitive bids for licenses to produce power in an MREA that will come with a power purchase agreement (PPA) and outside of the competitive process, power production permits can be allocated by the NS Department of Energy and Mines (NS-DOEM). Currently there are 10MW allocated to the permit program and 5MW was awarded to Big Moon Power in 2018. In the permit system the project proponent must propose a project and a PPA that can then be approved by the Minister of Energy and Mines. The remaining 5MW of power production are currently open for application. Under the changes to Nova Scotia’s Marine Renewable Energy Act, projects that receive a permit can also receive a PPA of up to 15 years at a price set by the Minister of Energy. Any utility in Nova Scotia will be required to procure all electricity under the PPA. Developers with projects at the Fundy Ocean Research Centre for Energy (FORCE) – Minas Tidal Limited Partnership, Black Rock Tidal Power, Atlantis Operations Canada, Halagonia Tidal Energy Limited, and Cape Sharp Tidal Venture – have approvals for Nova Scotia’s Development feed-in tariff (FIT) for 53 cents/kWh and allows them to enter into a 15-year power purchase agreement with Nova Scotia Power, the provincial electric utility. BC Hydro will prepare a new Integrated Resource Plan in 2019 to incorporate new objectives for clean energy set forth by the BC government. It is anticipated that there will be opportunities for ocean energy projects in this new plan. Permit and licensing program with negotiated PPA. A number of departments both federally and provincially contribute to the development of ocean energy in Canada. Energy ministries provide funding for projects and regulatory oversight, research fisheries, ocean and environment provide environmental and resource oversight and economic and knowledge development ministries provide incentives for hiring and training. Because provincial governments have exclusive jurisdiction respective provinces, decisions regarding the development of ocean renewable energy resources (e.g. tidal, and wave) within provincial territory are made by each province. In some cases, determining the boundaries of a province in the offshore can be complicated. If the definition of a province’s boundaries explicitly includes an area of the offshore, then that offshore is within the boundary of the province. Absent this explicit definition of a province’s boundary, the general rule is that the low-water mark along the coast marks the provincial boundary. This general rule is further modified by the principle that inland waters are also within a province. Inland waters typically include harbours, bays, estuaries and other waters that lie “between the jaws of the land.” Seaward of these boundaries, provinces do not have property rights in the territorial sea. The federal government has the property rights seaward of these boundaries. Ocean renewable energy represents a unique circumstance in Canada in that there is the potential for electricity projects to be situated in areas outside of the territory of a province, in marine areas under federal jurisdiction. In these circumstances, it is the federal government that is responsible for making decisions regarding the administration and regulation of ocean renewable energy activities. Regardless of where an ocean renewable energy project is situated, and consequently which level of government is responsible for the allocation of rights and permits, a number of federal regulatory approvals are likely required. This stems from the federal government’s responsibility over a number of issues in all areas of Canada’s offshore, including fisheries, navigation, and certain environmental issues. With a view to support the Pan-Canadian Framework on Climate Change and Clean Growth as well as the Federal Government’s Innovation and Skills Plan, the Federal Government outlined $2.3 Billion of investments in 2017 to support clean technology innovation and adoption. 2018 focused on implementing these funding investments. Included in these investments was funding to create a Clean Growth Hub that would serve as a whole-of-government focal point for clean technology. The core function of the Hub, established in early 2018, is to help clean technology innovators and adopters identify federal funding and services for which they may be eligible. The Hub is co-chaired by Natural Resources Canada (NRCan) and Innovation, Science and Economic Development (ISED) and currently includes fourteen other federal departments and agencies whose mandates are supported by Canadian success in clean technologies. The Hub is well positioned to assist entrepreneurs and adopters of ocean energy systems identify potential funding to the specific needs of the project. In 2018, several funding programs were open to (but not exclusively dedicated to) support ocean energy such as Natural Resource Canada’s Clean Growth in Natural Resources Program ($155M/4 years to support RD&D), Emerging Renewable Power Program ($200M/5 years) and the Clean Energy for Rural and Remote Communities Program ($220M/6 years). These programs were aimed to help develop and support innovation for clean energy technologies across Canada. Ocean energy technologies that were closer to commercialization, have been eligible for funding from Sustainable Development Technology Canada (SDTC), and Global Affairs Canada (GAC), and increased financing support through the Business Development Bank of Canada (BDC) and Export Development Canada. These government corporations offer programs to help de-risk projects for Canadian companies and projects. SDTC offers funding for 1/3 the cost a project usually in the range of $3M. Global affairs offer a number of programs including assistance with attracting investors. BDC and EDC offer ways to reduce risk on companies in financing and exporting through a number of programs including direct financing and insuring international purchase orders. In November of 2018, the federal government unveiled the winners of the Innovation Superclusters Program which included committing $950M to five industry consortiums, including Canada’s Ocean Supercluster (OSC). This industry-led collaboration seeks to build Canada’s ocean economy into a significant and sustainable value-creating economic segment and $153m federal funding was announced for the OSC. It is built around a critical mass of ocean-based companies in Atlantic Canada and includes partners that span the ocean economy including marine renewables. Emera Inc., a long-time supporter of tidal power is an industry leader in the OSC. $29.8Million in the HTEL project through the Emerging Renewable Power Program in support of its $117-million 9 MW instream tidal project in FORCE site, Nova Scotia. The Canadian government also invested $1.5M for ocean technology and tidal research projects funded through the Offshore Energy Research Association (OERA) of Nova Scotia and $725k in wave energy projects in BC. Research activities across Canada have encompassed environmental monitoring and technology development, resource assessment, power extraction technology demonstration and optimisation, numerical modelling and small-scale testing. Regional research organisations support research in ocean energy and partner with industry and academia to move the state of the art forward. OERA secured federal funding from Atlantic Canada Opportunities Agency (ACOA) and NRCan that was allocated to ocean technology and tidal energy. This enabled OERA to support 34 projects that were completed over a range of subject areas. a fish and turbulence study led by FORCE. Projects had in total 66 students working on tidal power research in 2018 and the cumulative total of $2.6M in funds offered by OERA for all the active projects was leveraged to reach an overall total of $6.5M in funding for tidal power related projects in NS. OERA will continue to offer its open call program in 2019 and expects additional funding programs to be announced throughout the year. supported ongoing fish tagging efforts. 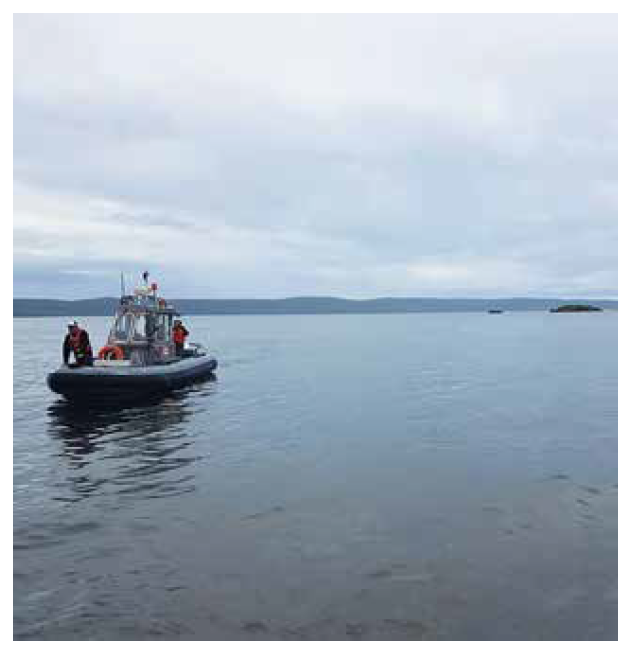 FORCE has led multiple sensor platform deployments through the Fundy Advanced Sensor Technology (FAST) Program. This year, focus was on testing a cabled system with multiple environmental sensors known as the FAST-Environmental Monitoring System. FORCE also hosted several events and workshops. In 2018, FORCE welcomed over 3,000 guests to the Visitor Centre. Work with Acadia University resulted in the installation of a second radar on Cape Sharp headland, which will be combined with the pre-existing radar to provide a view of the full Minas Passage and allow for both monitoring of the sea state and vessel activity. This work supported a master’s student in 2018 who assessed surface currents using the radar data. Assessment of the hydrokinetic resource using Radarsat 2. Continuing education and updating state of the art to relevant organisations. Workshop on turbulence in tidal sites. The centre currently has a five-year project focused on developing an economical wave powered pump to deliver water to an on-shore aquaculture farm. 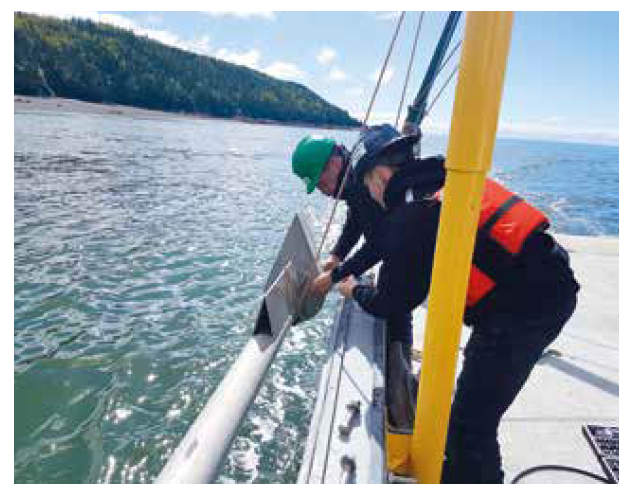 WCWI of UVic partnered with Orsted to deploy an Ocean Sentinel monitoring platform in 2019 to monitor the pacific coast wave environment and assess the resource. Marine energy resources atlas for province of BC is completed and will be launched in 2019. 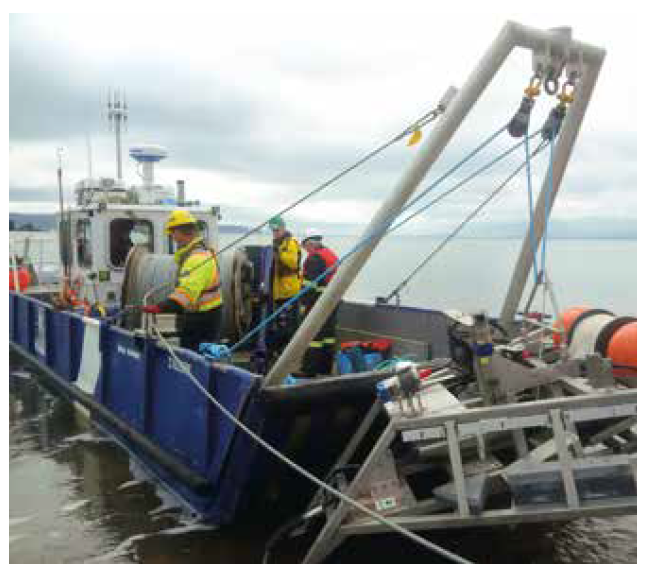 This atlas provides a comprehensive assessment of tidal, wave and river hydrokinetic energy resources throughout BC. It has assembled a geo-spatial database containing best-available information on wave, tidal and river hydrokinetic resources combined with other relevant socio-economic datasets and develop a specialized geo-spatial analysis, mapping and decision support system to support and inform stakeholders in identifying and evaluating sites for prospective development. NRCan in continuing collaborative research projects in advancing river hydrokinetic energy with NRC, academia, marine energy industry and Canadian Hydrokinetic Turbine Test Centre. Methodology to identify potential sites in a river stretch using radar satellite images taken during winter months where fast flowing river sections in Canada are not likely to freeze is progressing and will be validated in coming year. Scale model testing of vertical axis have been completed to validate numerical model to investigate multiple turbine array interactions and spacing between turbines. Number of turbine configurations simulations have been performed and this has improved understanding in how to optimize energy extraction from a stretch of river resource. Ultimately, aim is to develop guidelines for river hydrokinetic turbine array configurations. Mavi off-grid 22kW tidal turbine on Campbell River, BC. Berth holders (lease holders) at the FORCE site are required to deploy by December 2020 in order to access the power purchase agreements (PPA) that have been put in place. If they do not deploy they will lose the PPA and site lease. At the federal level, there is no existing marine spatial planning policy for ocean energy. Spatial planning for ocean energy takes place only in the province of Nova Scotia. Pre-selected areas for tidal current energy development have been selected in the province of Nova Scotia, in the Bay of Fundy. Site selection was determined, in-part, by a Strategic Environmental Assessment (SEA) on tidal energy development in the Bay of Fundy (FORCE). 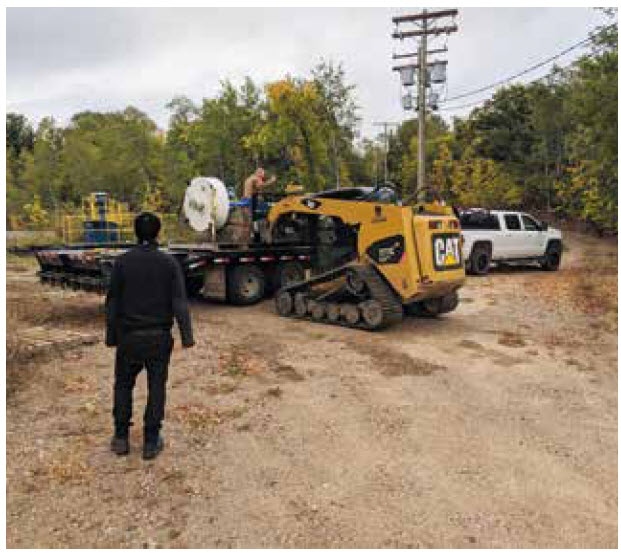 Resource assessments were also considered as part of the site selection. Another area in Nova Scotia that recently underwent a SEA is Cape Breton Island, inclusive of the Bras d’Or Lakes. The Oceans Act, Canada’s Oceans Strategy, and the Policy and Operational Framework for Integrated Management of Estuarine, Coastal and Marine Environments in Canada provide the policy framework and guide Canada’s approach to oceans management. Integrated Management efforts in Canada are being undertaken through an area-based approach that supports marine planning, management and decision-making at appropriate spatial scales, from regional to site-specific. • Federal authorities: Fisheries and Oceans Canada, Transport Canada, Environment Canada, Canadian Environmental Assessment Agency, Employment and Social Development Canada, Public Works and Government Services, Aboriginal Affairs and Northern Development Canada. • Province of Nova Scotia: Department of Energy, Department of Natural Resources, Department of Fisheries and Aquaculture, Department of Environment, Department of Labour and Advanced Education, Office of Aboriginal Affairs. - Provincial: Energy, Natural Resources, Aboriginal Affairs, Fisheries and Aquaculture, Labour and Advanced Education, Environment, Economic and Rural Development and Tourism. Within the province of Nova Scotia, the Department of Energy is responsible for managing the consenting process through a “one window committee” process, consisting of federal and provincial government departments/agencies with an interest in the marine environment and ocean energy. At the federal level, authorizations required prior to the approval of marine renewable energy projects include land use, project activities, transmission, occupational health and safety, operational safety, environmental protection and navigation. At the provincial level, in Nova Scotia projects are not able to proceed in an area that has not undergone a SEA. At FORCE testing site, projects must be approved by the Minister of Energy and are selected through a competitive Request for Proposal process. A key piece to Nova Scotia’s Marine Renewable Energy Act is the creation of a licensing and permitting system that will oversee the development of marine renewable energy projects. Any generator proceeding in a priority area without an approval will be in violation of the Act. A license will allow a project developer to carry out the business of extracting energy within a ‘marine renewable-electricity area’ (i.e., an area designated for development) through single or multiple devices. A permit will be issued to a temporary deployment of a device for the purposes of testing and demonstration. This system will ensure that projects proceed only after undergoing a thorough review by the Government and subject to effective Government oversight and monitoring. The Canadian version of an Environmental Impact Assessment (EIA), is typically required for projects. 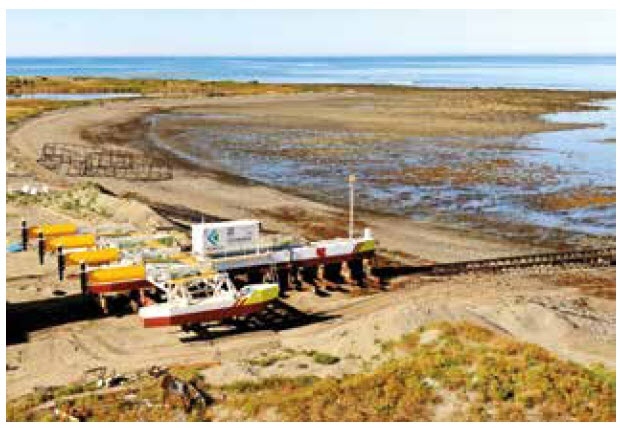 A federal Environmental Assessment is required for tidal current projects 50 MW or greater. Tidal current projects less than 50 MW do not require a federal Environmental Assessment. If the tidal current project is located on federal lands (i.e. the federal seabed), then a federal Environmental Analysis is required. Tidal current projects less than 50 MW and located on provincial lands (i.e. the provincial seabed), are only subject to a provincial Environmental Assessment. In Nova Scotia, a provincial Environmental Assessment is required for tidal current projects greater than 2 MW. Projects can be subject to Environmental Assessments below these thresholds at either the federal or provincial level, subject to Ministerial discretion. The Canadian Environmental Assessment Agency is the federal authority responsible for a federal Environmental Assessment. Environmental Assessments usually require ongoing environmental effects monitoring throughout the lifecycle of a project. There is no legislation or regulations designed solely for the licensing of renewable energy activity in the offshore. Nova Scotia’s Electricity Act and Renewable Electricity Regulations outline two paths for the development of tidal energy projects: at a community level and large-scale R&D level. The Regulations outline a comprehensive application process that projects must undergo in order to receive one of two feed-in tariff rates. In 2011, Canada’s Federal Government established the Marine Renewable Energy Enabling Measures program to develop and present to Cabinet, by March 2016, a federal policy framework for administering marine renewable energy activities. The Government of Nova Scotia passed the Marine Renewable Energy Act in 2015, which applies to Nova Scotia’s Bay of Fundy and the Bras d’Or lakes. This legislation ensures that marine renewable energy projects, including in-stream tidal, tidal range, offshore wind, wave and ocean currents, are developed in a manner that respects the environment and the interests of local communities; ensures increased consultation and provides for the safe, responsible and strategic development of the industry; and establishes a licensing and permitting system for the placement of marine renewable energy generators in those areas. Consultations can occur as part of the SEA process. Nova Scotia also undergoes engagement with stakeholders, ratepayers, and taxpayers primarily at the SEA stage, but also throughout the lifecycle of the project. At the federal level, the Government of Canada has a legal duty to consult Aboriginal people when there are potential or established Aboriginal or treaty rights that may be adversely impacted by a contemplated Crown conduct, such as a marine renewable project approval. Like the Government of Canada, the Government of Nova Scotia has a duty to consult with the First Nations of Nova Scotia, the Mi’kmaq. There are two cooperative mechanisms for Canada and Nova Scotia Mi’kmaq consultation—the Canada-Nova Scotia Memorandum of Understanding (MOU) on Consultation Cooperation and the tri-partite Mi’kmaq/Nova Scotia/Canada Consultation Terms of Reference (TOR). The Nova Scotia Department of Energy leads an Energy Consultation Table with the participation of federal authorities and the Mi'kmaq where provincial energy issues are discussed. The One Window Committee, along with the Province of Nova Scotia’s Marine Renewable Energy Strategy provide guidance to developers on potential permits/approvals, and review processes. The Fundy Ocean Research Centre for Energy (FORCE) has an approved Environmental Assessment for its full site, inclusive of its four deployment berths. As such, developers at the site do not have to undergo individual EAs. Developers are still required to provide applications to other relevant regulatory agencies.